Do love the classy look a polo shirt can give you? 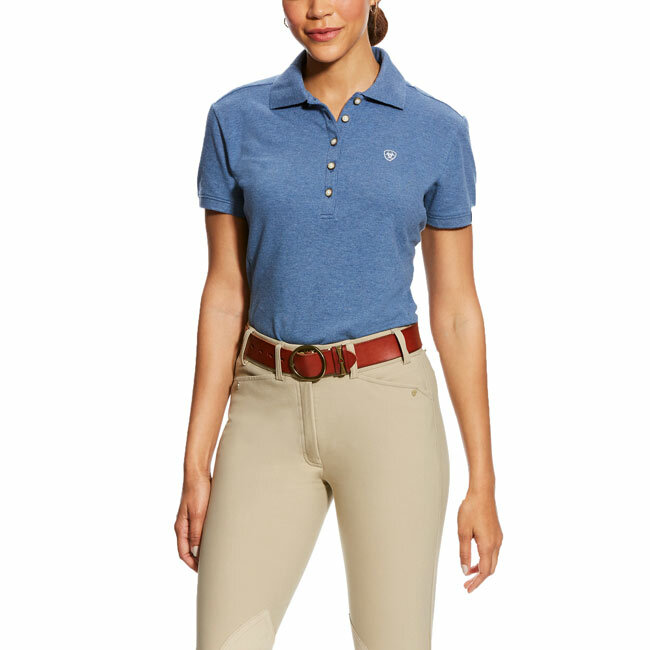 This Ariat Womens Indigo Fade Prix Polo is an excellent specimen of a polo shirt. It has been created from a performance stretch material that updates the traditional design. Not only will you love the stretch the fabric gives but you will love that Ariat stayed true to the overall design you love. SHIRT SIZE . 32-34 36-38 40-42 . . BUST 33" 34"- 35" 36"- 37" 38 1/2"-40" 41 1/2"- 43" 45 1/2"
WAIST 25" 26"- 27" " 28"- 29" 30 1/2"-3 2" 33 1/2"- 34" 35"
HIPS 35" 36"- 37" 38"- 39" 40 1/2"- 42" 43 1/2"- 45 1/5" 47 1/2"